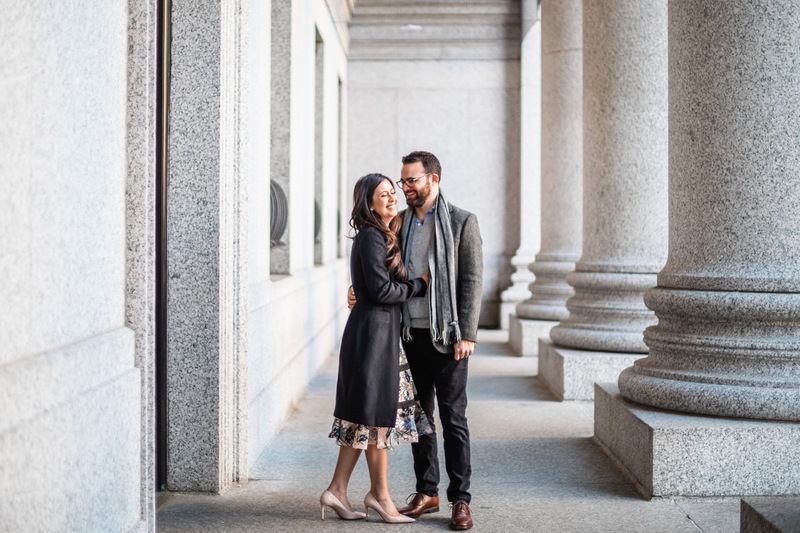 Pooja and Henry’s chic city hall elopement took place on a warm winter morning. After the ceremony at New York City Hall, we took portraits of the couple in downtown NYC. Thinking of eloping at City Hall? Reach out to us today!